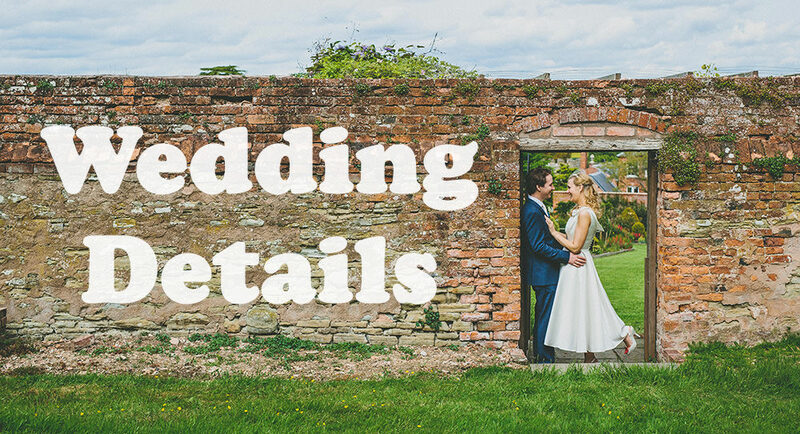 This is just a quick form to get all the important details so I know what, who, where so I’m on the ball for your wedding. If anything in the form doesn’t apply to you, no worries, just skip on past. Feel free to drop me an email at info@timbishop.co.uk if you have any questions about anything in the form. I find it's best to eat at the same time as you and your guests, as no one really wants photos of people filling their faces. A main Vegetarian hot meal and a non-alcoholic drink is all I need - so please don't feel obliged to treat me as a guest. I'm happy to be seated in another room or with guests, depending on your preferences and the space available. If it isn't possible to provide any food just let me know and I'll sort something out, which may mean I have to leave the venue.